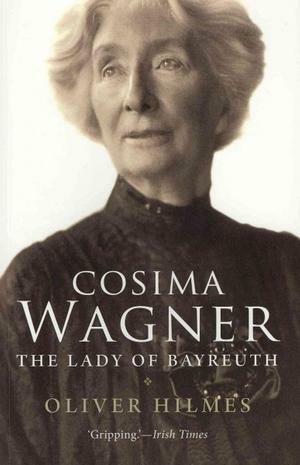 This biography of Cosima Wagner was very difficult to read on many levels. Mark was being flown to Bayreuth for a workshop and I picked it up as part of my tradition of exploring a place — I confess I was utterly ignorant of Cosima Wagner’s history, or Richard Wagner’s history or the role that this city where they made a home played in the formation of Hitler’s pseudophilosophy, his social circle, and his base of power. Because this family made a home here in Bayreuth at Wahnfried. That I found most difficult. But there was also the author Oliver Hilmes… his tone, what he singled out, his commentary were all quite contrary to my own style and feeling. This can hardly be a criticism of course, because we do not all think the same. I thought it best to signal it — and that said, numerous times I think he did actually let the family off the hook for some fairly vile little foibles of theirs. So from the beginning I felt that while I might perhaps agree broadly that Marie d’Agoult was not the nicest of women or very present for her children, yet my critique of her would be directed differently. 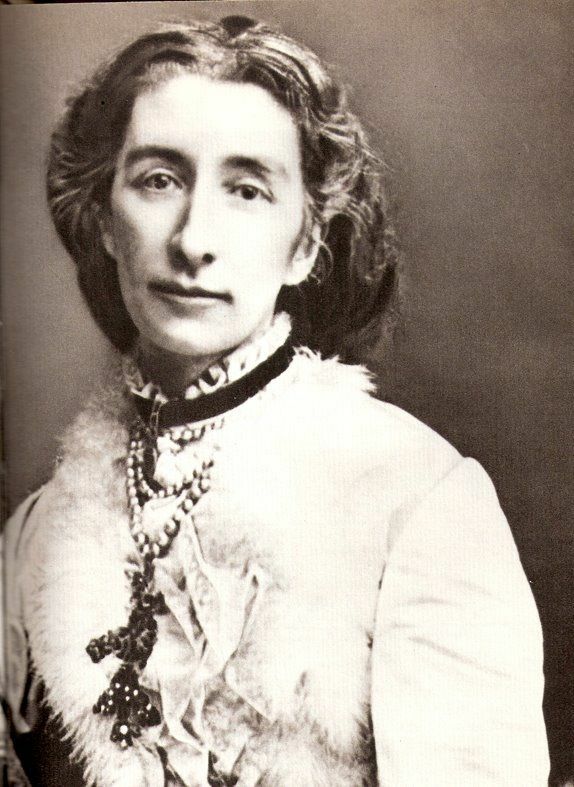 I would have made more of her support for women’s equality, I might have mentioned her wider friendships with other women such as Georges Sand, and my sympathy would certainly have been much more engaged. 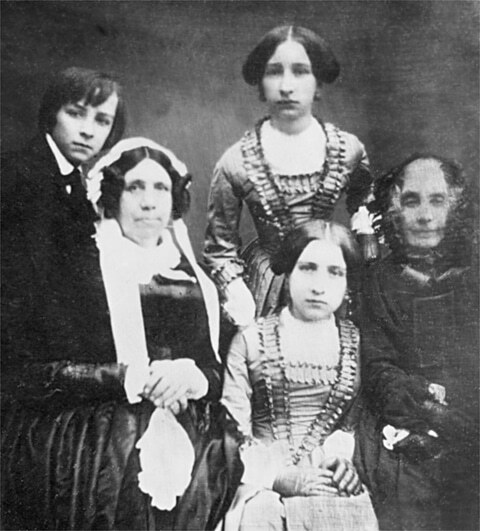 Cosima’s father Franz Liszt did simply take the children away from Marie after Paris followed her mother in rejecting them all from polite society (their ideas of free love being greatly frowned upon then but thank god they fought for them), and he did refuse to let her see them. Hilmes then describes Liszt as under the sway of his new life-long lover and companion Princess Carolyne zu Sayn-Wittgenstein — and that kind of language always worries me. Yet at her direction Liszt’s three children were removed from the home they had made with Lizst’s mother Anna and placed under the care of a horrible governess of the ancien regime, Madame Patersi de Fossombroni and her sister. Here is Cosima standing. It’s as though 1848 never happened, in this book. I found that curious. But Madame Patersi had been a governess for many princesses of soon-to-be-relegated-to-history principalities, and so I imagine in that house even the gains of the French Revolution were steadfastly ignored. This book also and again reinforced the realisation that the education of European aristocratic youth consisted (and still consists to some extent) of breaking children into small pieces to rebuild them as heartless, stony-faced, charming individuals who know much about etiquette but have had all feeling for humanity destroyed. How better to maintain power and obscene privilege as though it were right and natural? Reading about such upbringings you are almost sorry for them. 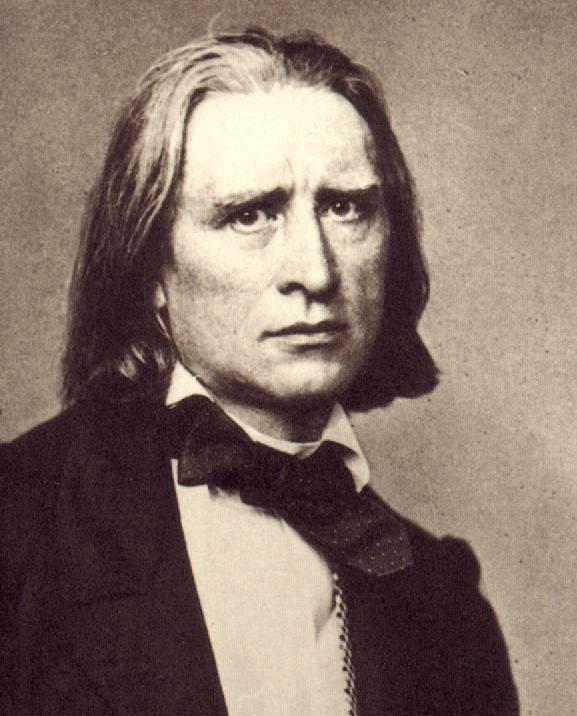 I was sorry for Cosima too, in reading Hans von Bülow’s official request to Liszt for his daughter’s hand in marriage. The creepiest declaration of love I have ever read, and hardly a solid foundation for a happy marriage, though she did marry him. She did very much resemble Liszt. He met his end in Beyreuth, in her home. She made it a hard and painful one refusing medical help for him at the end and refusing to allow anyone in to see him as she would be the one to nurse him — and then finding herself too busy to nurse him. Liszt’s pupil watched through the window from the bushes after being expelled from the sickroom, heard his dying groans. Almost you can feel sorry for him. But I get ahead of myself. There are a number of brilliant quotes here. I thought this one very telling. Hilmes blames this on the limitations of her otherwise flawless German, but seems more a characteristic of mind perhaps. In her younger years she wrote for a monthly magazine, though always under pseudonyms and this memory not encouraged by family hagiographers — not something for women to do. Her mother had fought long and hard for women’s rights to be authors. Cosima met Wagner as a child as he was a friend of Liszt — they moved in the same artistic and often radical circles as did Liszt’s student Hans von Bülow. Wagner, however, did not notice her until her marriage brought her within his orbit, and his failing marriage left him without the feminine support he believed he needed. This book fails to mentions Wagner’s time on Dresden’s barricades in 1849, his arrest. I learned that at Wahnfried… a fact hard to guess because some of Wagner’s quotes? Wow. Mine is a different kind of organism, I have sensitive nerves, I must have beautify. radiance and light. The world owes me a living! I can’t live the miserable life of an organist like your Master Bach! Is it such as outrageous demand to say that I deserve the little bit of luxury that I can bear? I, who can give pleasure to thousands? He had many many mistresses. And a wife, named Minna. She had a hard time I believe. I know I am doing none of them justice, I apologise. There are Wagner’s terrible letters to King Ludovic II, who was utterly smitten with him and known to be gay. Every age has its idiom and this may be reflected here, yet if they weren’t lovers this could be worse, as Wagner must have known very well what he was about in using such language to get land, money and influence. This is only a taste. Wagner did inform him, in the form of journal entries, and they were distributed as policy documents to Ludwig’s ministers. The von Bülows moved to Munich, just around the corner, in 1864. in April, 1865 Wagner’s first daughter Isolde was born to Cosima. Hilmes notes that it is not certain that von Bülow knew it was Wagner’s child — which could mean Cosima was sleeping with both at the same time! I almost laughed at the shock implied in the sentence discounting such as thing. It is impossible to laugh, however, at the letter she wrote in November of 1867 to protest Ludwig hiring Paul Heyse as artistic director of his theatre company. Meanwhile Wagner was about to cross the line with old Ludwig… you’d have thought that journal escapade would have done it, but no. Or that time he called Ludwig ‘my lad’. 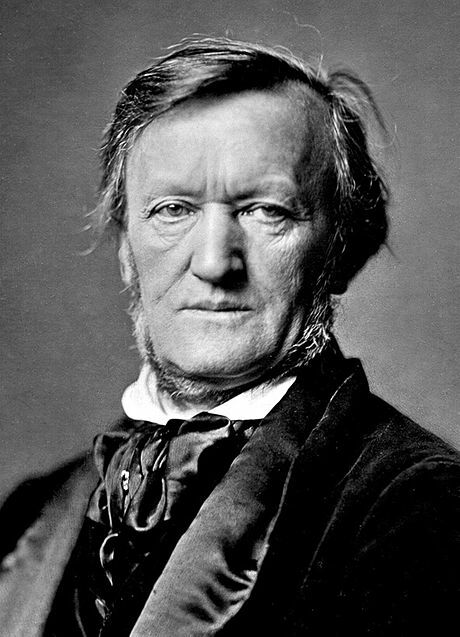 But after glorious days in which Wagner organised concerts in the morning then read to Bavaria’s king from his memoirs after which the two of them would head off to sport in the countryside, Wagner went so far as to demand the resignations of the cabinet secretary and the prime minister. And so, Hilmes describes it as involuntary exile. 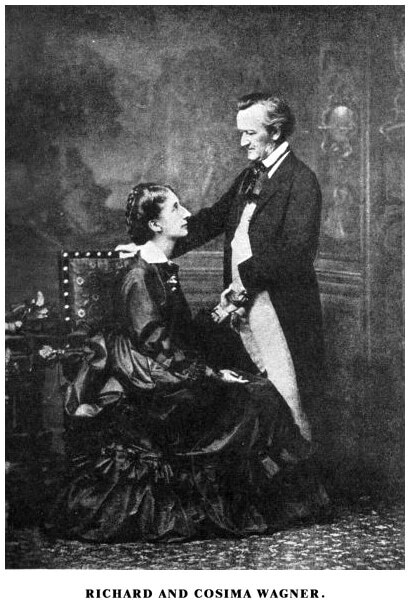 After much passionate recrimination, Cosima finally obtained a divorce from von Bülow, and married Wagner in 1870. She would dedicate her life in his service, and in service to her son…an oddly dictatorial service to be sure, or to their myth as she interpreted it. How better to summarise the role she saw for her life than this picture? Hilmes ties her strange streak of self-sacrifice to her husband’s myth and her sadomasochism that emerged from her upbringing to her anti-semitism. I find his psychoanalysis a little simple perhaps, but the roots of it are all here. It’s not surprising that Wagner reissued a little pamphlet he had written about the Jews the year of their marriage in 1870 — I haven’t yet read it. I suppose I will. I am curious. But all of it brings on nausea. Oh the delusions that this home would help spawn. Gifted land from the council they built the Festspielhaus, a new opera house for the festival they would begin — Wagner found the town’s incredible baroque opera house too small for the orchestras he needed. He notes Levi tried to break his ties to the Wagners many times. Yet in spite of this, Levi is referred to consistently thereafter as a family friend… it seems to me that whatever this complicated relationship might have been, friendship is not quite the right term for it. His relationship with Cosima far less so, it hurts my soul to read of it. In 1883 Wagner died while in Vienna. There were scenes of operatic horror as Cosima lay by the side of his decomposing corpse and refused to be removed, kept slipping in to be with his body, cut off all of her hair and sewed it into a pillow to be buried with Wagner. From here she would dedicate her life to his myth, his music, and his festival in Bayreuth. Everything was sacrificed to that cause, but only as she defined it and controlled it. She never released power, and she never forgave those who challenged her. Wahnfried in Bayreuth became a shrine to her dead husband and the family and to Germany as she imagined it. She placed glass over Wagner’s desk to keep it always as he left it, people described the chair that could not be sat in, the many ornaments and the piano that could never be touched. This is what she tried to do on a much grander scale across Germany itself, making of his life, work and thought a kind of museum performed over and over again through the festival, yet at the same a living force in music and in German nationalism. She tried to control it all, keep Wagner at the pinnacle of musical achievement (a strange madness for anyone who loved music) as well as relevance for the ideal of the German people. It is terrifying how effective she was. Joseph Goebbels came along to visit the great man Chamberlain as well, though he was already very ill. He would die in 1927 — very possibly of late-stage syphilis. One can only hope, it is most unpleasant. Cosima died in 1930, Siegfried followed soon after, Winifred was left to run the festival which she did most ably with great support from Hitler himself until the end of the war. It is hard to say what I feel finishing this… horror certainly. Amazement at what have always seemed to me to be such different times, such different worlds spanned by Cosima’s life — from the rebellion of Liszt and d’Agoult and the romantic period and 1848 smashed against an ancien regime governess’s rocks through to Wagner and Brahms and then to the rise of Hitler in Germany … it is almost inconceivable really. Yet her life shows how these things tied together, how far Nazi Germany was from being a strange bubble, shows the depths of its roots. She was such a force. I need to read more of Wagner to get a better grip on how much she shaped his legacy, but I’m not sure I have the stomach for it.